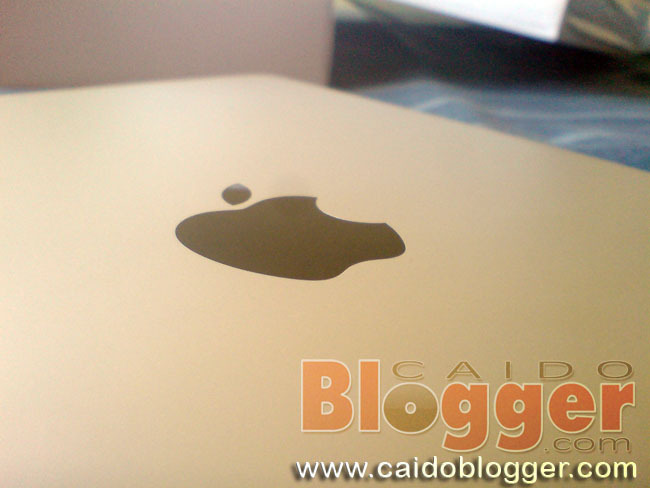 Home / Apple / iPad 2 / Promos / I won an iPad 2 from Sulit.com.ph! 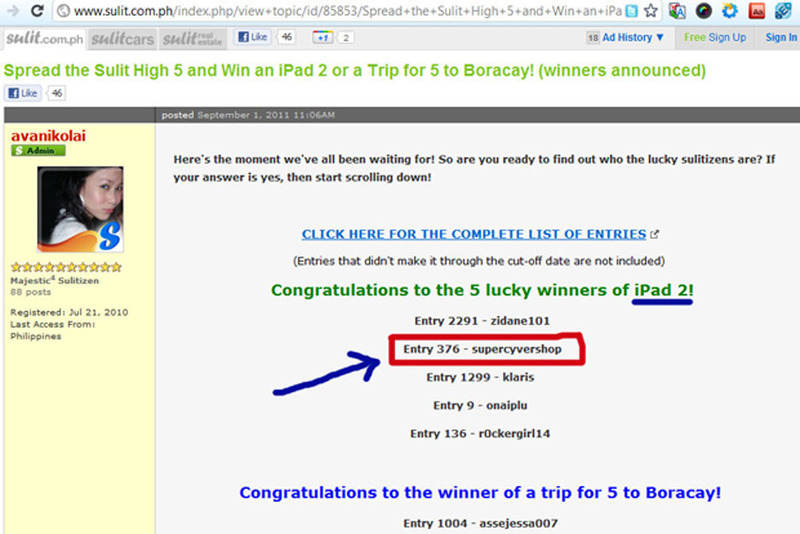 I won an iPad 2 from Sulit.com.ph! Yay! I won an iPad 2 from Sulit.com.ph ! Wow! I really won an Apple iPad 2! Last September, Sulit.com.ph, the leading online classified ads and buy and sell website in the Philippines, celebrated their 5th Sulit Year Anniversary by having an online contest --> Spread the Sulit High 5 and Win an iPad 2 or a Trip for 5 to Boracay!" The promo was open to all members of Sulit.com.ph and ran from September 1 to 30, 2011. What the members needed to do was just to paste the official Sulit High 5 badge (see below) to any blog site or personal social media accounts that provide blog pages. Well, just last May this year, I have also joined and won P1000 gift check from Sulit.com.ph's 1M Members Raffle Giveaway. They also gave away an iPad that time, but I was not lucky enough to get it...So I said to myself, "Better luck next time." Another promo came, so I joined and tried again (it was free to join anyway). After posting the badge on some of my blogs, I submitted my entries on the electronic form. And then, I waited until October 3 for the announcements. October 5: well, everybody knows...this is when the news broke out that Steve Jobs (the man behind Apple products) died. October 10: Feeling gloomy on a Monday mid-morning (because it was already October...), I opened my email, scanned the messages and whoa! the words "Congratulations from Sulit.com.ph" caught my attention! My heart started to pound hard as I read the message telling me that I was one of the 5 lucky winners of iPad 2 and that I needed to send back some information for verification. My reaction was "Wow! Really?! Me? I won?! iPad 2?! I won an iPad 2?! Weeeeeeee!!!!!!! I won an iPad 2!!!!" Thank You Lord!. So I replied immediately, sent the necessary information and asked if it is for real. Miss avanikolai (the super nice Sulit.com.ph admin) confirmed that it's for real and that I'll just have to wait for the details on how it will be delivered to me (since I'm from outside Manila). ^____^ Weee! I actually really wanted to jump at that moment but I was still in the office so I contained myself and just settled for a big smile on my face, then went out, and happily ate my lunch. :)))) I suddenly liked October! Haha!